Objects around us have a power to reflect and release our emotions. 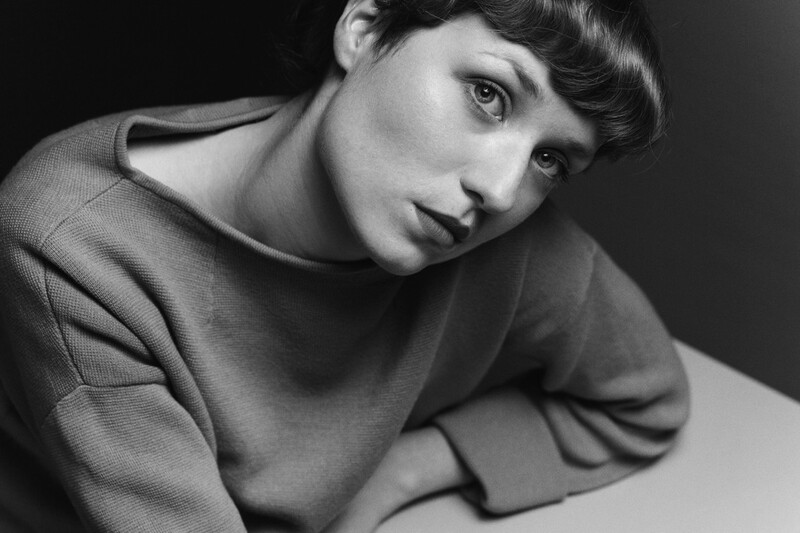 Designer Nel Verbeke’s designs are research-based materialisations of emotions. Each object in the interplay of the mind and the physical seeks to evoke an emotion to be observed and reflected upon. 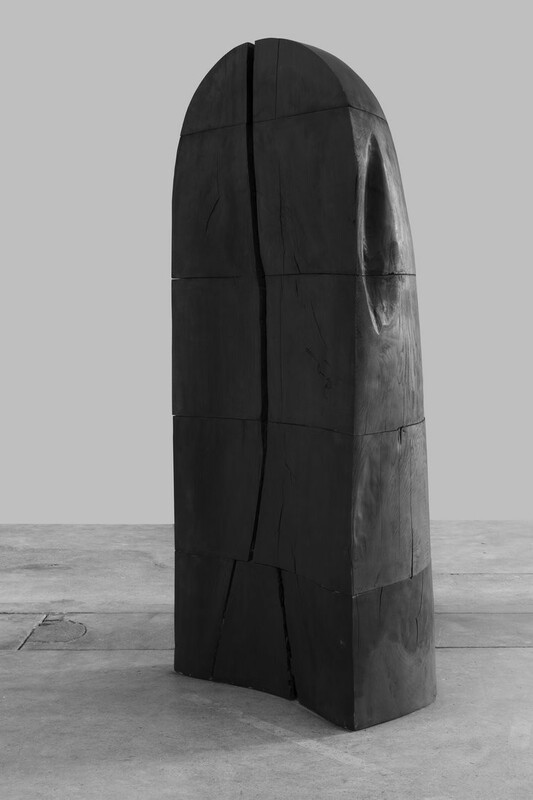 A human-sized wooden, near-black sculpture challenges our understanding of functionality of an object. It stands steady, wide, heavy, matt and strangely comforting, yet mute. Next to it, a black, full-length mirror from which you only see a shade of a reflection if you reach close enough. 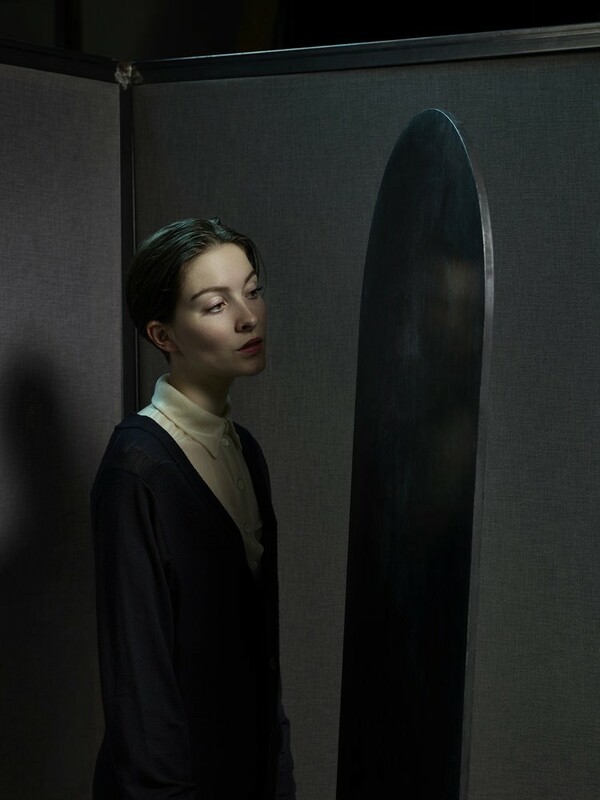 Both objects, ‘The Place for Melancholy’ (2015) and ‘The Black Mirror’ (2016) are parts of the Belgian designer Nel Verbeke’s ‘Embrace Melancholy’ collection. The ten objects in the collection — also including hourglasses and a hand mirror — open up a possibility of reflection and a moment to slow down and feel our melancholy. In our happiness-chasing society, we often forget that accepting — even embracing — our dark emotions is an essential element of our well-being. Traditionally, nature or places of worship have enabled reflecting on our emotions and actions. Similarly to objects of worship, Nel Verbeke’s objects in the ‘Embrace Melancholy’ collection create a poetic, secular and emotive moment of reflection. Nel Verbeke works on the threshold of art and design, both of which she has also studied in Belgium and in the Netherlands. Her work suggests, in her own words, that “the emotional states of mind could be habitable spaces,” and that they could be “shelters for a deepened moment of introspection and contemplation.” In an interview, Nel Verbeke reflects on the emotive power of objects — designed or not — and gives insight to her own working process. Your work is based on emotions. Are your objects representations of your own emotions, or are they triggers for certain emotions in the users or viewers of your designs? The main motive of my work is to design objects and situations, which inquire our relationship to the emotional layeredness of our existence. And, how this ‘inclusive’ emotionality — from joy to melancholy — can become a full part of our contemporary lives and living. The functions I often work with are often immaterial — the emotional potential of space and shape. That’s a sensitivity I have as a designer. This motive might have been pushed by personal experiences, but the objects are never about my personal emotions. They are always designed for ‘the other,’ the potential user of viewer, and for their interaction with the object, concept or space. The work always departs from needs in the society, although one can never create something that is not funded by a personal state or interest. With the ‘Embrace Melancholy’ collection, I wanted to re-introduce and re-value the act of melancholy. Today, we are in constant search for happiness and self-control. Could melancholy — that bittersweet, undefined, and in essence autonomous state of mind — still be sought in order to consider how we arrange our lives today? Each design from the collection suggests a possibility to embrace melancholy in our daily existence and domestic settings. The works could be individual tools, contemporary relics to perform the states seized with emotion and to recalibrate balance of our minds. What is the emotive power of an object or a space in your work? An object can become a trigger and a tool for emotionality for its user or viewer. In a sense, the object goes ‘beyond its functionality,’ and the work is something immaterial and emotional in various shapes. This can mean that the object has either private or universal symbols and values. For instance, a mirror is a piece of functional or loaded self-reflection. It belongs to the sphere of vanitas symbols, which were always there to remind us of our temporality, the others that we have lost, and all the lacks and losses we have already experienced. They reminded us of death and time, but also, by doing so, they also reminded us of life. An object doesn’t need to be that loaded though. It can also trigger — beyond to what the object is — to touch and smell, either universally or privately. The way the object is made is also very important: the hand of the maker is there to be more visible and more personal. It can carry artistic expression that directly communicates with the user or viewer. Thirdly, an object can also be designed as a proto-instrument, as a proposed tool to explore emotions. In this case, the object is asking for an intervention or interaction, and they literally allow the act of an emotion. How do you approach designing an emotion, or for an emotion? The emotion itself can’t be designed, of course, because emotions are so private, situational and dynamic. But, they can be triggered, sought for, or they can be given shape and space in circumstances. They can be brought back into the intimacy of our daily lives. You can also create metaphors and metaphorical functions — objects that explicate or refer to an emotion through their look, feel, form, texture, historical connotations, and other. And, as such, they become triggers to activate or allow an emotion. ‘The Place of Melancholy’ is a human-size object made of wood. How did you come to this form and appearance of the object? First, we have to think how we can embrace melancholy. What is the act of melancholy? What are the symbols that stand for or trigger melancholy? What is the place of melancholy? I started with a research into cross-historical and cross-cultural places of melancholy — everything that has to do with mental or physical solitude. The work is a result of a quest for a material place — a concrete, actual place, not symbolical. It’s a physical context where melancholy can be experienced without interruptions from the outside. In short, the work extracts two clichés of a melancholic place: nature, and more specifically nature in the autumn, and the dominant shapes of architecture that can make you feel small and enclosed at the same time. 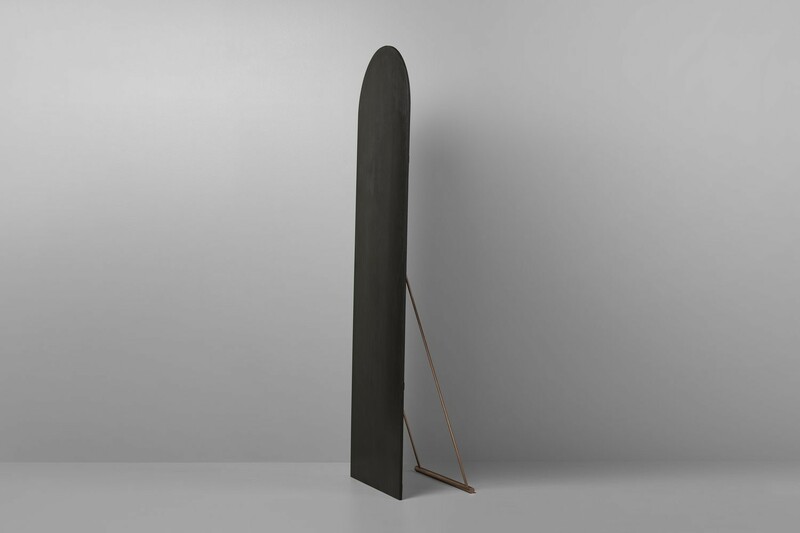 These shapes and spaces with an emotional potential were then translated into a wooden sculpture. The shape itself is sculpted out of one massive ash tree. The residues of the tree where then burned and the ashes were used to coat the sculpture. As such, it reflects the confluence of what appears and disappears, what is lost and what remains. It also is not really the, but a, place for melancholy, although the title may suggest otherwise. It is a suggestion and a possibility that offers its user a context where he is more likely to find stillness and contemplation, and where he can fully experience his emotional state of mind. The interview is a part of ‘Spatial Health,’ one of the focus areas of Brussels-based design and research agency Raven & Wood Agency. ‘Spatial Health’ looks into crossovers of built environments, spatial design and health with a specific focus on emotional well-being. Design for connectedness. Essays, interviews and curated projects on spatial health and on design for peace, trust and respect.